Digital Information Technology (IT), once it replaced our analog IT, provided unbelievably complex and amazingly reliable IT systems. Nanotechnology is currently at a comparable stage as IT was where the majority of information processing was analog. Today the promises of nanotechnology are largely unfulfilled, but that will change with a 2nd Digital Revolution: Digital Atomic Scale Fabrication. For many of the reasons that Digital IT is vastly superior to analog IT, digital fab, where digital events are the making/breaking of chemical bonds, will be remarkably better than analog fab. Our ultimate goal at Zyvex Labs is the development of Atomically Precise Manufacturing where inevitable fabrication errors are detected and corrected. This technology will provide the nano-foundries required to produce the nanotechnology products that have been promised but not delivered. Digital atomic scale fabrication is not only a sound idea, it is inevitable. I will describe a promising candidate technology. 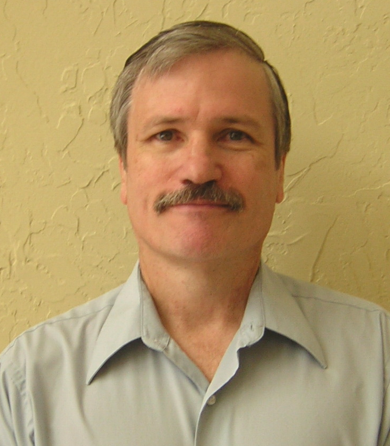 Dr. John Randall, President of Zyvex Labs, VP at NanoRetina, Adjunct Professor at UT Dallas, and Fellow of the AVS and IEEE, has over 35 years of experience in Micro- and Nano- Fabrication. He has attracted over $43M in research contracts to Zyvex and resulting products have grossed over $80M. He joined Zyvex in 2001 after 15 years at Texas Instruments where he was a distinguished Member of the Technical Staff and worked in high resolution processing for integrated circuits, MEMS, quantum effect devices and advanced lithograph at IMEC in Belgium for two years. Prior to working at TI, John worked at MIT's Lincoln Laboratory on ion beam lithography. He has BS, MS and PhD Degrees all in Electrical Engineering, from the University of Houston. He has 109 articles published in refereed journals, 50 conference proceedings and other publications with >4000 citations and 31 issued US Patents with >800 citations.